Edinburgh is the capital of Scotland and resides amongst the Scottish Lowlands. According to internet folklore (a.k.a. Wikipedia), the highest recorded temperature in Edinburgh's history was 88.5 degrees (the highest!). The average temperature this time of year is 37-49 degrees. With temps that low, you'll want to make sure you're bundling up as you search for the perfect lunch spot, or while you wait in line for a tour of St. Andrews. 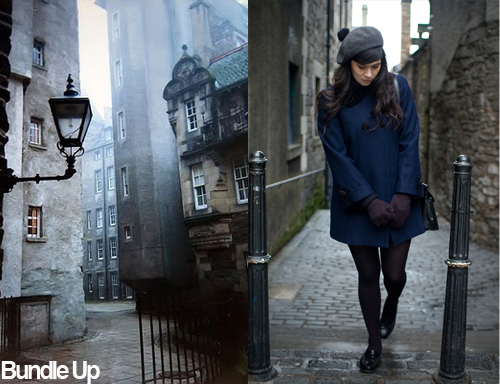 Wear this blue coat, hat, and gloves to stay warm while you walk through Edinburgh's streets experiencing its people and culture. Have you ever been to Edinburgh? Any recommendations?